2004 Eliminator 280 Eagle, Teague Custom Marine 700 HP Big Block Very nice custom Eliminator 280 Eagle. Powered by a Teague Custom Marine 700 Hp EFI blown big block, Teague Platinum Shaft Outdrive, high end stereo system, flat screen TV, bimini top, and a full boat cover. 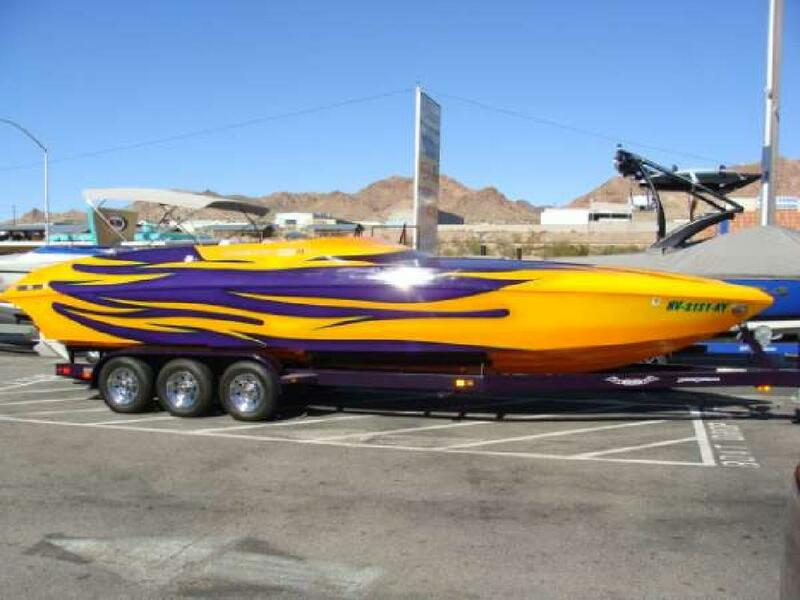 For more information please call Boulder Boats at 702-293-1122 or view our complete inventory of new and used boats including Eliminator, Donzi, Essex, Laser, Sleekcraft, Magic, Challenger, Howard, Baja, Lavey, Nordic and more at .BoulderB . Financing available. If you are interested in selling your boat, please call today for information or our consignment program.